There is not much room left in the nest. mom osprey or the chicks. Note that as mom lands, her toes are knuckling under to prevent her talons from accidentally harming a chick. The eagles do the same when in the nest and there is no fish to hold down for shredding. 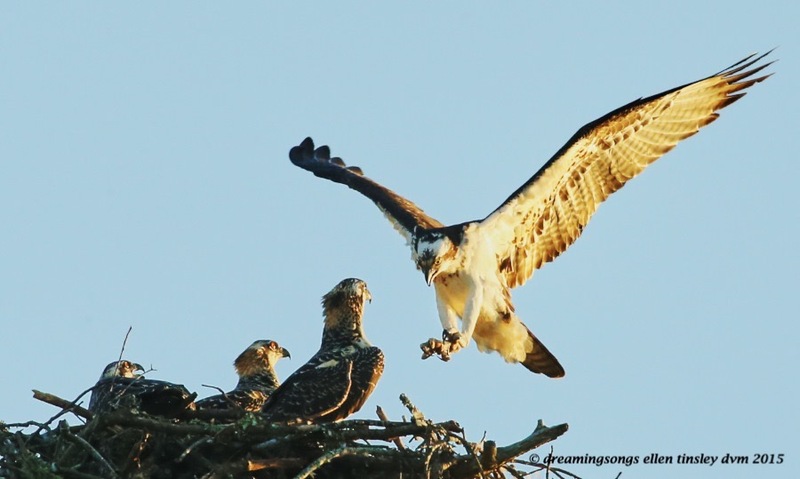 Posted in birds, Jordan Lake, ospreys of Jordan Lake, photography, raptors, wild birds and tagged as female osprey, immature osprey, Jordan Lake, osprey, osprey chick, osprey flight, ospreys of Jordan Lake, raptor.